Posted on April 5, 2019 | 562 views | Topic : Featured, News & Articles, Property News. 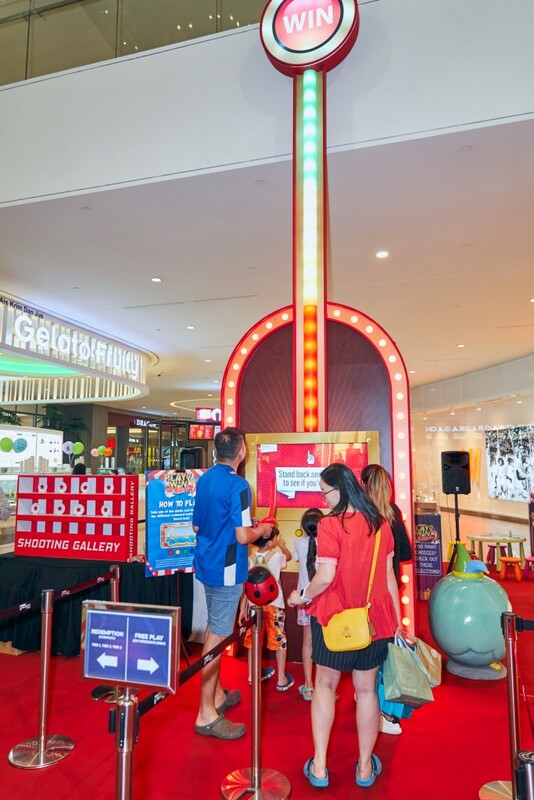 KUALA LUMPUR: The March school holidays might have passed but the fanfare is not done and dusted just yet as Sunway Velocity Mall’s ‘Play 2 Win 2019’ Campaign is on the menu from 28 March to 28 April. 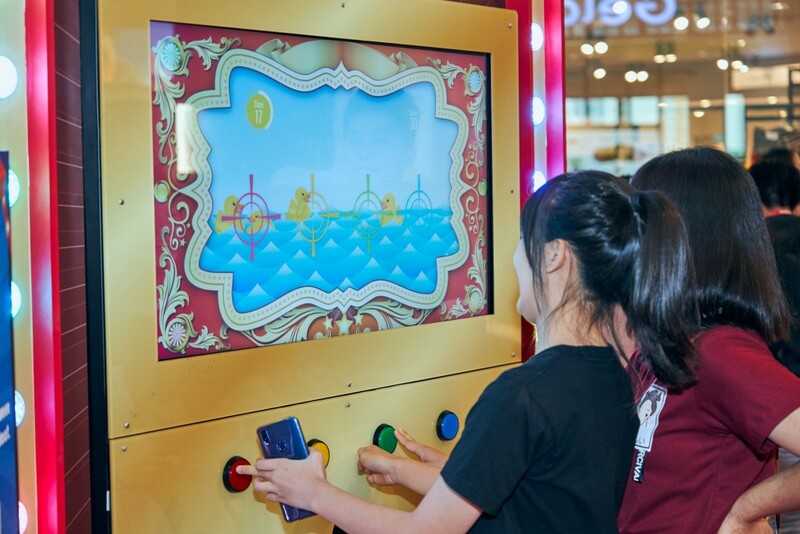 An interactive “phygital” (physical and digital) experience awaits shoppers with a carnival-style setup featuring a 20-foot gaming structure complete with LED screens coming to life on Level 1, near the V Boulevard entrance. The 20-foot tall Giant Arcade Game is as exciting as it looks! Here, a whole host of rewards are in store for shoppers who spend at any outlet excluding AEON MaxValu Prime, Parkson, Food & Beverage stores and services in Sunway Velocity Mall. 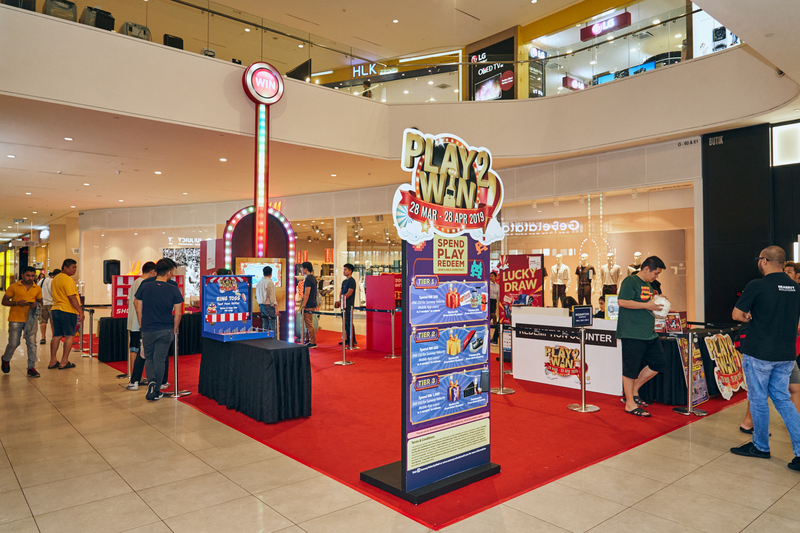 For a chance to win great prizes, customers simply need to bring their receipts over to the Play 2 Win redemption counter to collect their Redemption Stage Tickets and participate at the giant arcade game. Awesome redemption gifts await shoppers every day! Spend RM300 (or RM250 for Sunway Velocity Mobile App users) in three receipts or less to play one round of Stage 1. Depending on their scores, shoppers could walk away with either RM20 cash vouchers or a Stage 1 Premium Gift from backpacks and Chinese ceramic tea mugs to batik scarves and cute Sakae Sushi body blankets. Spend RM600 (or RM550 for Sunway Velocity Mobile App users) in four receipts or less to play one round of Stage 2. Shoppers can win either RM50 cash vouchers or a Stage 2 Premium Gift like Buffalo V Thermos Flasks, dining bowl sets, tiffin carriers, reverse double layer umbrellas, FUFA sneakers and TGV Top Gun passes. Spend RM1,000 (or RM950 for Sunway Velocity Mobile App users) in five receipts or less to play one round of Stage 3. Participants stand a chance to take home either RM100 cash vouchers or a Stage 3 Premium Gift comprising of Cosas United luggage bags, KJI Pharma Co Beauty Sets along with TGV Indulge passes. If that’s not rewarding enough, a Free Play Stage will also be available on weekdays to the public to play for free. Visitors are encouraged to partake and stand a chance at winning mystery shopping discount vouchers from the likes of G2000, Miss Selfridge, New York Steak Shack, TGV Cinemas, Under Armour, Eureka, Rednose, Sakae Sushi and more. Each person is allowed a maximum of two free plays per day. 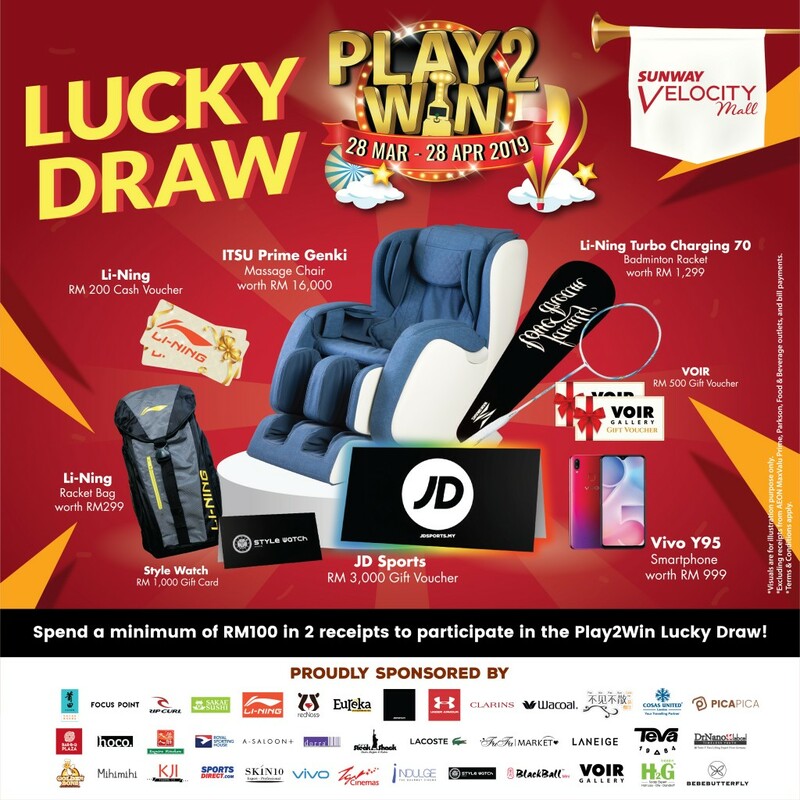 Sweetening the deal even further is the ‘Play 2 Win’ Lucky Draw – where those who spend just RM100 in 2 receipts or less (at any outlet except AEON MaxValu Prime, Parkson, and services) will be qualified for one entry. Multiple entries throughout the entire duration of the campaign are permitted with fantastic prizes including an ITSU Massage Chair, JD Sports Gift Card worth RM3,000.00, a Vivo Smartphone, a Style Watch, a Li-Ning Racquet worth RM1,300, and more! It really is a ‘freebies galore’ campaign where shoppers can get a unique ‘Make Your Own Coin Pouch’ Kit by just flashing their Sunway Pals App or signing up as a new member there and then. 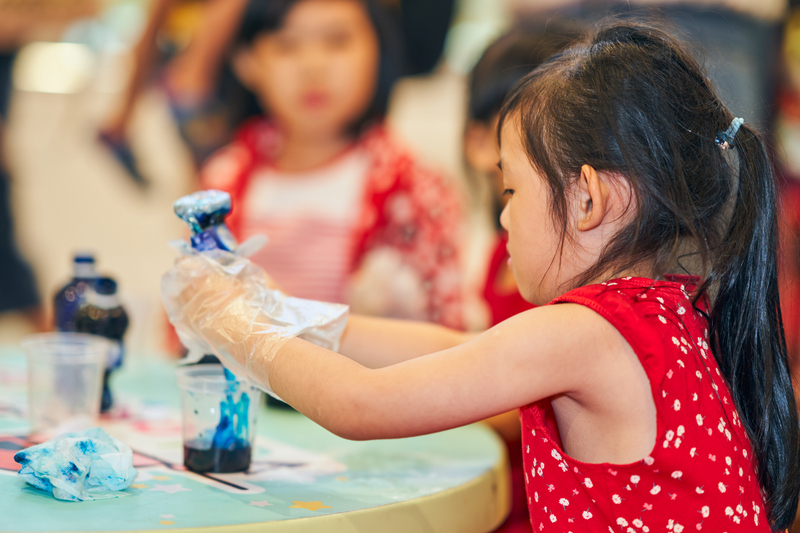 Not only that, little ones will be entertained by carnival games like ring and ball tossing while free interactive workshops are also available for kids to learn about things like slime-making, lava lamps, sushi-making and many others. 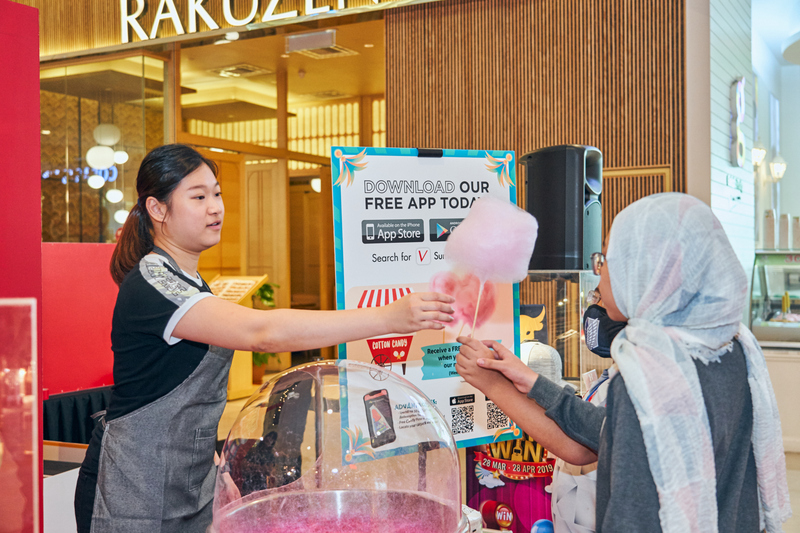 Parents who download the Sunway Velocity Mall Mobile App can also redeem cotton candy for free.